With beautiful parks, shopping, and excellent public schools, Columbia could be the perfect location of your future home. As you are searching for the perfect place to buy your new home in the upcoming year, there are so many reasons to consider Columbia, Maryland as one of your top choices. According to two of Niche’s 2018 Best Places lists, Columbia places #8 of 228 for Best Cities to Raise a Family in America, as well as #14 of 228 for Best Cities to Buy a House in America. With beautiful parks, shopping, and excellent public schools, Columbia could be the perfect location of your future home. 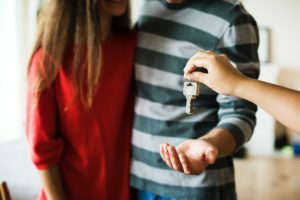 If you are now in the market for a new home in Maryland, consider these three reasons to consider buying a home in Columbia this year. One of the most appealing aspects of Columbia is its location, as it is conveniently located between Baltimore and Washington D.C. This point is particularly attractive to professionals working in either city, as both are easily accessed with a convenient commute. Located less than thirty minutes from both the Baltimore beltway and the Washington D.C metro, Columbia is the perfect place for any Baltimore or D.C professional. Another major selling point for Columbia homes is their location within public school districts of Howard County. With several excellent public schools serving the Columbia area of Howard County, such as River Hill High School, Centennial High School, and Atholton High School, Columbia is an especially ideal location for families with kids in grade school. In addition to its convenient location between Baltimore and D.C, another convenient aspect of Columbia is its variety of parks, dining, and entertainment only a few minutes away from residential areas. With this, you can conveniently go out for dinner, see an outdoor concert in the summer, or enjoy a walk in the park just ten minutes from your new home. If you are a senior looking to sell your current home, and/or buy another home, trust Jack Cooper for affordable, professional, and accurate legal and real estate assistance. Let our excellent team provide you with expert counsel and information. In working with Jack Cooper Law, you will have access to our excellent industry contacts, from trusted and reliable lenders to home inspectors, contractors, and service providers. No matter where you are located in Maryland, our team is ready to work with you! Call us at 410-465-5822!